We have a choice and that is to only carry the best! Your stylist will help you choose the at-home regimen that is right for you. By purchasing your professional only products at TRIO you help maintain and promote the quality, training and high-level of service you expect and we are known for. ARROJO is the hairdressing brand owned by Nick Arrojo, world-renowned stylist/educator/salon owner and television personality. As an Arrojo Ambassador salon we enjoy the benefits of New York coming to Chicago. Love your hair, we do! American Wave, an eight-piece ‘boutique’ product line, sets the new gold standard in care and styling for textured hair. American Wave is a hyper-luxe, prestige product collection especially made for heavenly waves and curls. A professional product line of shampoo, conditioner and styling aids formulated for men with rooibos tea, lemongrass, and coconut oil. This line also offers a simple skincare regimen of a wintergin shave cream, daily facial cleanser and moisturizer. 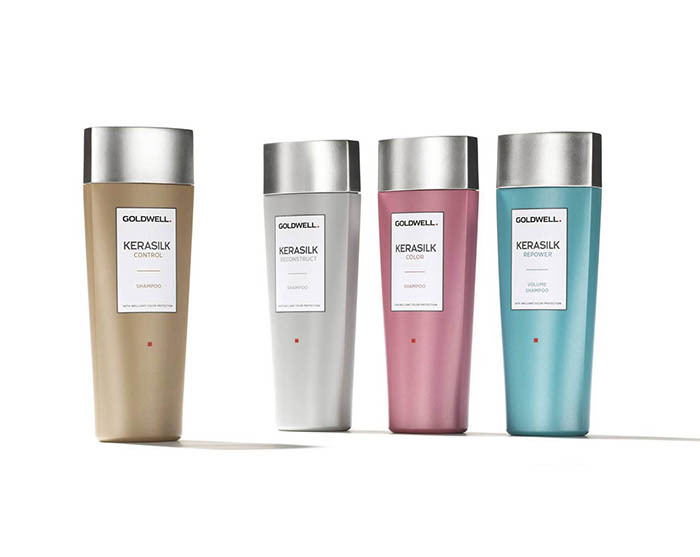 Complimenting our color line, Goldwell's Kerasilk is the secret to every outstanding look, every colour, cut and styling. That’s how we achieve stunning results and make our clients fall in love with their hair every time. Because healthy, shiny hair is the best advertising our clients can carry out of our salon. This instant, temporary gray root touch-up spray covers emerging roots, extending the life of colour between salon visits. The unique pin-point applicator targets the areas that need a temporary colour boost and camoflague. Elumen is a hair colour that 'eluminates' the hair intensively from inside out to achieve intense results. It's ammonia-free, non-oxidative and gentle for the hair. Hair colouring without ammonia. Nectaya enriches the hair with nurturing care creating the best basis for beautiful colour results without compromising on performance. Topchic guarantees intense colours full of brilliance, in all dimensions.